This is one of the most common questions I get asked. People suspect they may have spy software on their phone, they do a little research to find out more about this type of software and then they panic. How are they going to remove spy software from their cell phone and get their privacy back? The difficult part is actually confirming that you have spy software on your cell phone in the first place. The good news is that it is quite easy to remove. There are several ways to remove mobile spy software depending on your abilities but for all of them there are a few important steps to take before you start. Backup, backup, backup! Before you do anything make sure you have a good secure backup of all your important phone data. If you have anything at all important to you stored on your cell phone, you must be sure to have it backed up. The steps you’re going to take will remove all of your personal information such as contacts, existing text messages, photos, videos and music. If you lose all of this it is going to be a major hassle. Just backup all your files using your preferred method. Here is a good easy to follow guide from Gizmodo looking at how to backup different cell phones. Now let’s look at three of the best methods for removing spy software from any cell phone. All cell phones have a function where you can restore the phone to its original factory settings. This will wipe everything from the phone. The phone will basically revert to how it was when you first bought it. All apps and any added software will also be removed – and so will the spy software. All spy software programs are installed physically onto the cell phone and so doing a factory reset will remove them completely. After the factory reset you can restore your original data – all your original files and contacts etc. I would recommend manually re-installing any apps you were using beforehand to avoid reinstalling the spy software inadvertently. Upgrading the operating system of your cell phone works slightly differently to doing a factory reset. In this case all of your data should not be lost but it is wise to make a backup beforehand, just in case anything should go wrong. Cell phone spy software is designed for specific operating systems. This means that when you change the operating system of the phone, the version of the spy software will no longer work. Upgrading the operating system also makes some internal changes which will also stop the software from functioning. This method is only suitable for those who are comfortable working with the core files of the cell phone. With this method you really need to know what you’re doing as removing the wrong files can cause problems. Most of the software companies are good at disguising the files which are visible on the cell phone. They give them random names which are hard to recognize unless you know what to look for. It is possible to find them and delete them and the spy software will be removed. It really is not worth the effort when either of the above methods will work just as well. The factory reset is my preferred option as it is so straightforward and is guaranteed to work every time. One thing I have noticed is that some people seem to doubt that this method will remove the spy software totally. Sometimes the best solutions are actually quite simple and people assume that something more complex would be needed to remove mobile spy software. Don’t forget that once you have removed the software you need to protect your phone in future. 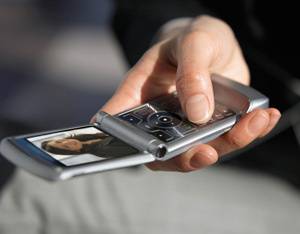 Read my article about How to Secure Your Cell Phone for some good tips on cell phone security.